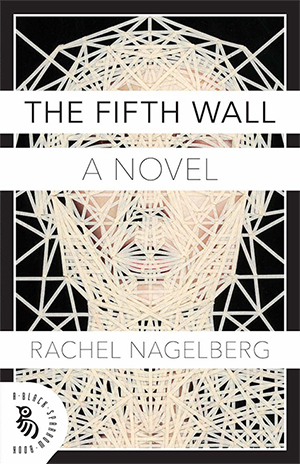 Rachel Nagelberg is the author of The Fifth Wall, a debut novel published by Black Sparrow Books, an imprint of David R. Godine Publisher, in April 2017. Excerpts of The Fifth Wall are published in 3:Am Magazine and The Brooklyn Rail. I had the pleasure of being interviewed about The Fifth Wall for Women’s History Month by Reece Wallace, a brilliant new intern at David R. Godine who delighted me with the depth of his questions; we talk about healing and history and art and film and grief and terrorism and mothers and Walter Benjamin, not to mention many other super cool things! Check it out here. Today I celebrate the publication of Cover the Earth, writings by yours truly (inspired by Anthony Baab's Cover the Earth installations), Edition of 15, 42 pages, gorgeously designed by Scott Barry (@miesenplace) of Sqirl in Los Angeles, and published by Maison Gas (@maisongas). DM for inquiries! An intimate little portrait of yours truly as an artist/writer, along with a lovely little review of The Fifth Wall, appeared in The Fifth Floor yesterday, a publication put out by the University of Pittsburgh's English Department. I'm very excited to announce the forthcoming publication of performance artist & sculptor Lucien Shapiro's art book, A Fool's Journey: Fear Collection Ritual (Not a Cult Press), in which I've contributed writing.